Kobe is the fifth largest Japanese city and the capital of Hyogo Prefecture as well. Though the modern Kobe was founded in 1889, the city already has its own values and traditions. It is known that Japanese people appreciate their own culture. The most popular of these traditions is the tea ceremony, but other ideas, such as religion are important as well. 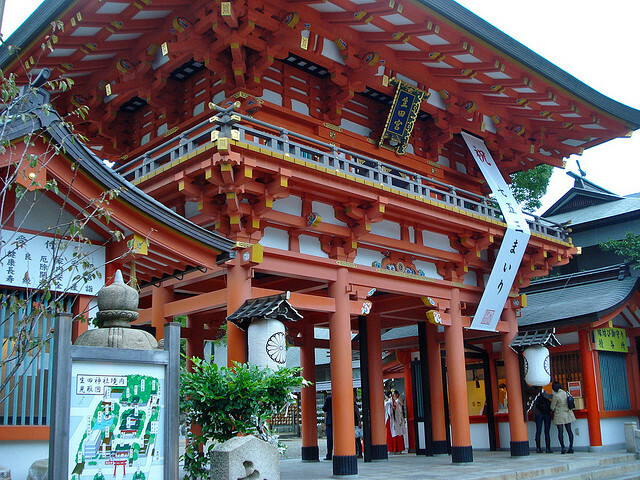 Temples and Shinto Shrines are vital parts of religious life, both in villages and in cities. Even if the city is as large as Kobe, religion is a very honored and sacred tradition for Japanese people. 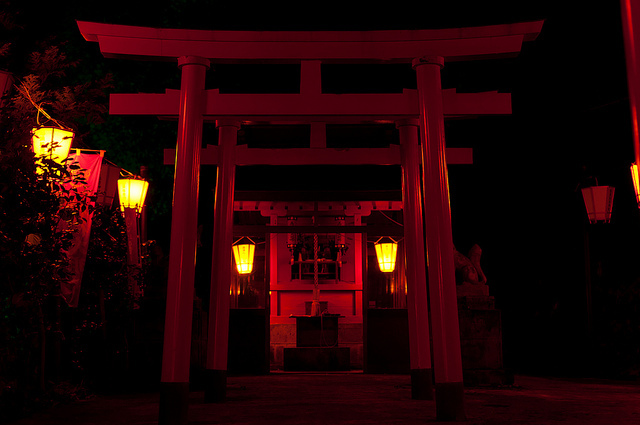 Should you be in Kobe, do not hesitate to visit one of the most amazing religious representations of the city: this article presents the best shrines and temples in Kobe. 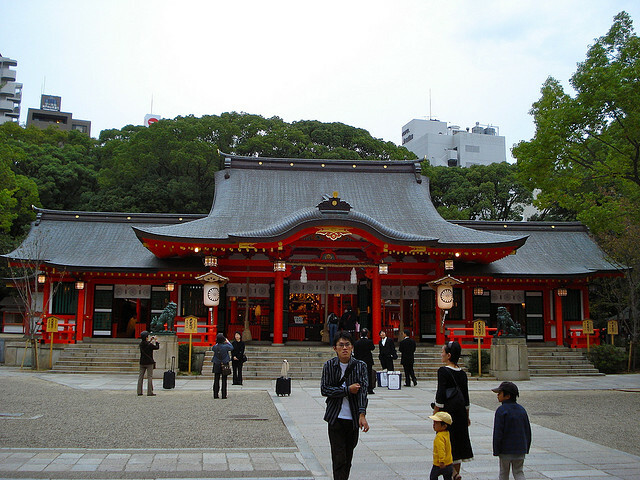 Ikuta Shrine is one of the oldest Shinto Shrines of Japan: according to historical resources it was founded in the 3rd century AD. It is located in the Sannomiya district (or the downtown) of Kobe, so it is quite easy to get there. Once you’re there, you can admire the beauty and the ancient atmosphere of this sacred place. Ikuta Shrine can be visited at any time, for it is open every day and it does not have an entrance fee. The address of the shrine is 1-2-1 Shimoyamate-dori, Chuo-ku, Kobe. 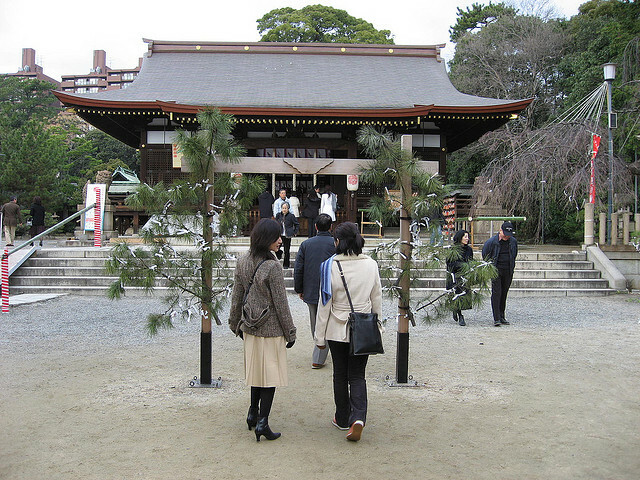 The phone number of the shrine is +81 78-321-3851. Ikuta is also the most popular and most visited shrine of Kobe. Though Yuzuruha Shrine is not as ‘popular’ as Ikuta Shrine, it still deserves to be mentioned between the best shrines of Kobe. The beauty of this building will surely be an unforgettable memory for each and every visitor. The address of the shrine is 2-9-27 Mikagegunge, Higashinada-ku, Kobe. Yuzuruha can be visited at any time (of course, notin the middle of the night, but on any day, holidays as well), just like Ikuta Shrine, and there is no entrance fee. Sumadera Temple is the head of the Sumadera Sect. It is an old building, originally it was established in the 9th century, but later is was rebuilt and renovated many times. The events of the Battle of Ichi-no-Tani are displayed by several paintings in the temple as well. You can visit this temple between 7.00 and 17.00 and the admission is free. The address is Sumadera-cho, Suma-ku, Kobe. If you have any questions related to the temple, you can contact them on the following phone number: 078-731-0416.